In the 15 years since the terrorist attacks on September 11, 2001, the literary world has seen its fair share of novels that have reproduced the attacks and their aftermath; ascribed retroactive meaning to the small, everyday events that occurred in the days and weeks before the Twin Towers fell; and tried, and struggled, to understand the events of 9/11 — so many such novels, in fact, that “the 9/11 novel” has effectively grown into a genre all its own. But this is what fiction does, after all: it aims to explain the unexplainable, to dissect truths that were already stranger than fiction, to discern a significant pattern in uncomfortably random events, and — just as in the case of September 11, 2001 — to observe in slow motion that which unfolded too quickly to be understood in real-time. Each passing year has been marked by a number of novels that deal either directly or peripherally with the terrorist attacks of 9/11, which perhaps begs the question: what more are we hoping for from 9/11 novels that hasn’t already been written; and what can we learn from 9/11 novels 15 years later that we weren’t ready to learn three years out, or five, or 10? Or perhaps the question is not what can 9/11 novels teach us about September 11, but what can 9/11 novels teach us about novels? I hear that we’re still waiting for the great 9/11 novel — that book that will do for September 11 what John Hersey’s Hiroshima (albeit nonfiction) did for World War II. (Or, to offer up a less-appreciated example from fiction, what Johnny Got His Gun did for World War I.) Like its predecessor, the Great American Novel, the great 9/11 novel will illuminate that still-obscure path to not only clarity about what happened to us and why, but also what we were supposed to do about it. And perhaps we haven’t seen that novel rise to the surface yet because in order to understand the events of September 11, 2001 we Americans first have to understand the stories we were used to telling ourselves that made an attack like 9/11 so inconceivable in the first place. I was 13 years old on September 11, 2001, just beginning an eighth-grader’s day in a sleepy, Midwestern middle school when all students were informed to remain in their first period classrooms until further notice, and each classroom’s television was turned on to the morning news. With no particularly long or wide view of the world and its political history, in the days and weeks following September 11 I practically assumed George W. Bush had invented the word “terrorism,” (and for much as he went on to exploit the term, perhaps he might as well have) understanding the word only as an experience defined solely by what had happened to us — Americans. I hadn’t yet learned that terrorist attacks had happened all over the world before 9/11. I didn’t know about the kamikaze pilots of World War II, or the violence of places like Beirut and Nairobi, or events like the 1993 coffee shop bombing in Cairo, or 1994 bombing of a Jewish Community Center in Buenos Aires, or even the first bombing of the World Trade Center in 1993 — events like these didn't exist to me. They didn't seem to exist to our nation either, which spoke of the attacks in the same way Americans had always spoke of everything: isolated, unique, our own, exclusive not only in our greatness but now also in our grief. Some novels, however, have begun to take that long view of 9/11, and the years before and after. Amy Waldman’s The Submission (written before the proposed “Ground Zero mosque”) imagines what would happen if a Muslim architect was chosen to design a 9/11 memorial. Joseph O’Neill’s Netherland not only captures the atmosphere of both pre- and post-9/11 days in New York City, but also explores the events from the vantage point of a Dutch immigrant living in New York, whose sense of being an outsider in an unfamiliar landscape is only exacerbated by the attacks. Mohsin Hamid’s The Reluctant Fundamentalist dives into the life of a Pakistani man living in the U.S. in the months before and after 9/11, and demonstrates how his experience of “the American dream” became as shattered as the Twin Towers themselves. And Kamila Shamsie’s Burnt Shadows perhaps takes the widest angle of all, beginning with the bombing of Nagasaki and exploring history’s unfurling right up to September 11, 2001. These are among the novels that we should be reading (and writing towards) as the years between us and September 11 continue to number. Here are four things we’re still learning from 9/11 novels — 15 years later. 1. 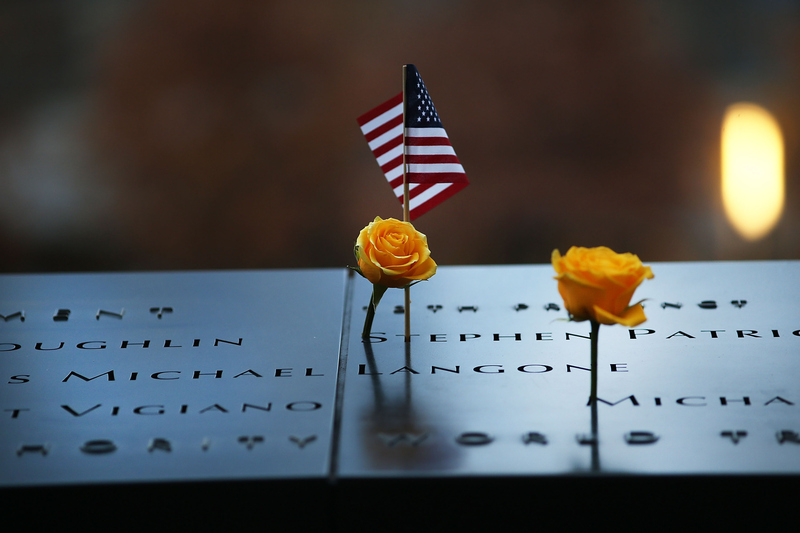 September 11, 2001 is more than an event — it’s a setting. Read any novel that deals with 9/11 and you’ll immediately realize that September 11 was more than a single day in American history. Rather, it was a particular space: a place, an energy, a feeling, an atmosphere, a moment in time. September 11 was not just September 11, it was the days and weeks leading up to the attacks — the small, personal comings and goings that every single one of us was utterly consumed by, which suddenly became infused with overly-symbolic meaning the minute those planes began crashing; a time as utterly foreign to us now as the events of September 11 were before they happened. It’s also the days and years after — the numbness, the confusion, the anger, the grief, the resilience, and also the sense that the world had utterly changed. It’s the mourning of the end of one type of living, and the uncertain beginning of a new one. 2. We need to reacquaint ourselves with the "American Dream." Just as experienced by Dutch banker Hans van den Broek in O’Neill’s Netherland, and Pakistani immigrant Changez in Hamid’s The Reluctant Fundamentalist, the American dream changed irreparably for tens of thousands of immigrants following 9/11. What was once difficult — adapting to a new country, culture, and language — became impossible as racial and religious tensions elevated to a fever pitch, and everything from someone’s facial hair to that bottle of shampoo your tuck into your carry-on luggage became suspect to investigation, interrogation, and prosecution. American citizens weren’t the only people devastated by the attacks on September 11, 2001 — anybody around the world who’d ever grown up with dreams of freedom, educational opportunity, prosperity, and the pursuit of happiness has seen that American promise transform in the 15 years that followed. And while the United States may never quite return to the place that is described on the Statue of Liberty’s inscription, isn’t it worth at least trying to? 3. Tragedy doesn’t need to be the only invitation to change your life. What practically all the novels written beneath the shadow of September 11 have in common is the fact that 9/11 became a jumping-off point for introspection, reflection, and personal transformation for a lot of people (and fictional characters). And yes, this is common not only to those who lived through 9/11 but to the human experience on the whole: tragedy breeds transformation. Tragedy gives you a reason, and often an opportunity, to take a sharp left turn out of your life and into the life you’d been waiting to start all along. But what the 9/11 novels also demonstrate is that the invitation to change your life was there all along, and although cataclysmic events might often make that clearer, real change doesn’t always have to be birthed from destruction. If you want to change your life, change it. Don’t wait for an invitation. 4. We might never be finished understanding it. The attacks of September 11 were not only streamed live on the news, but were also replayed countless times in the days and weeks that followed. They have been digitally archived to be accessible a mere click away. Even those who didn’t live through it can probably picture the planes crashing, the buildings falling, and a city buried under piles of gray ash. Our 9/11 novels aren’t designed to reproduce the events of that day or to transport readers to a place and time they wouldn’t otherwise be able to imagine, but rather are written to explain why. And how. And to whom. And where do we go from here. And those questions, like all the big questions that follow tragedy, don’t have specific answers. No single novel is going to be able to answer them all, no matter how many years removed from the events of 9/11 we might be. What great novels do is help us continue digging — they invite readers to keep exploring, keep asking questions, keep trying to understand, keep growing. The 9/11 novels offer a path, with each novel a single stepping stone, on the way to something that maybe begins to resemble understanding. And the rest of history unfurls from there.